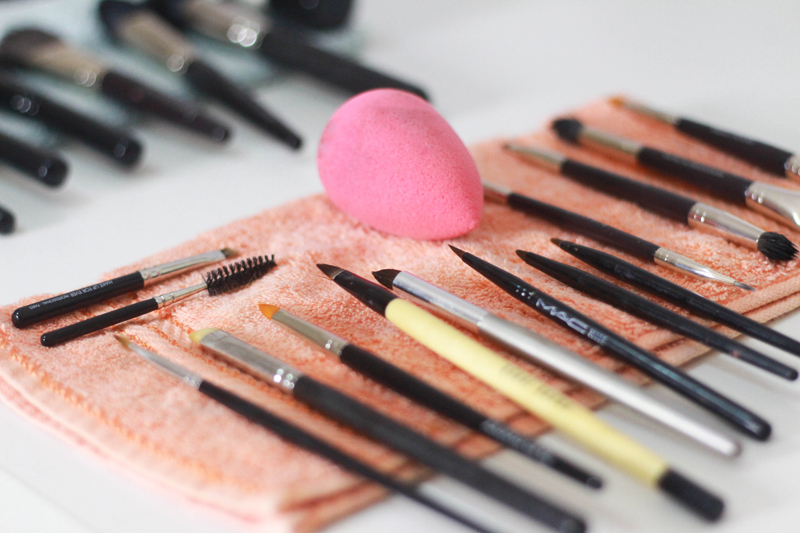 How to: Clean Makeup Tools & Brushes - cat'elle. Hey Beauties! 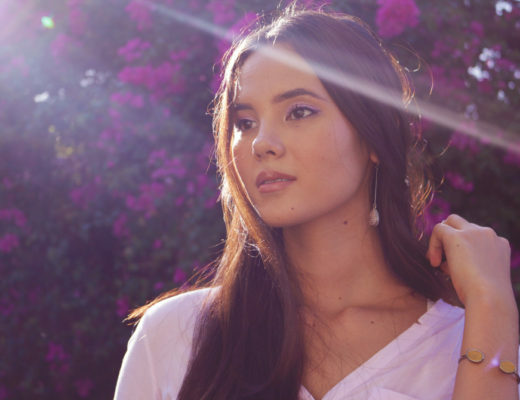 Makeup is a part of every girl’s life but few realise that it also plays a prominent part in our skincare too. Growing up as a teen, I never (ever) cleaned my brushes. They didn’t look dirty enough to and let’s face it, I was just plain lazy. The result? Mean, deep, sore pimples all over my cheeks. The culprit was my dirty blush brush spreading bacteria and nasties all over my skin with every use. I learned the lesson of cleaning brushes the hard way, but you don’t have to. I D.I.Y my brush cleaner because firstly, it’s much cheaper than the store bought alternative and always accessible as I always have all the ingredients on hand at home. I follow this routine about every 1-2 weeks because I use my brushes maybe 2-3 times a week. 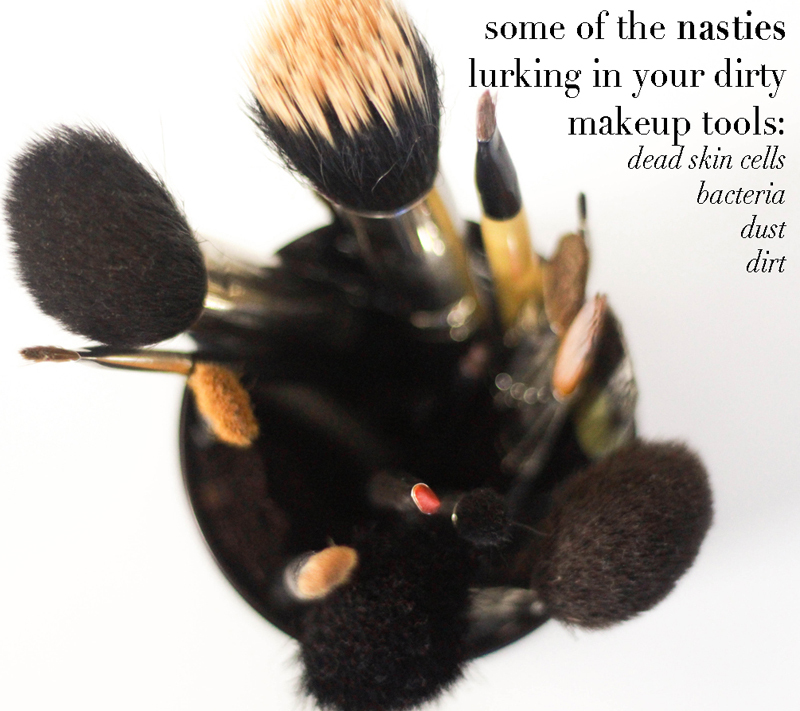 But for more frequent makeup wearers, a deep cleaning could be done every week. In between deep cleanses I spot clean. What is spot cleaning? A quick cleanse of the brush right after use to remove excess makeup. 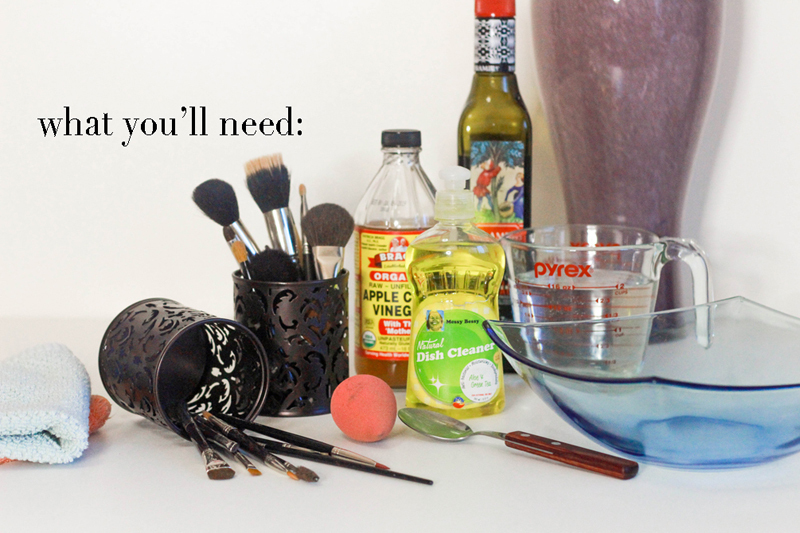 You only need two things in your kit to spot clean: makeup remover wipes and a spray-form disinfectant alcohol. To spot clean: simply spritz a clean wipe with some alcohol and gently rub the bristles on the wet-wipe to remove excess makeup and to disinfect the brush head. The same wipe can then be used to clean the entire length of the brush handle too. Spot cleaning is not enough to cleanse the bristles of the brush completely (especially the very centre bristles). So utilise both methods in an alternating fashion. *But take care when using the spot cleaning method a lot as the alcohol may dry out your natural hair brushes. 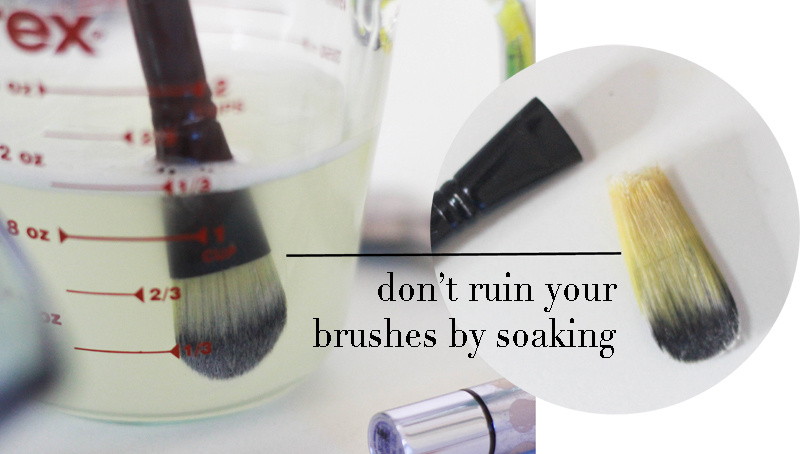 Now lets talk about How to Deep Clean your brushes and tools. 4 tbsp Vinegar – any type will suffice. Olive oil is utilised to condition your brush bristles as the detergent will strip the brushes. 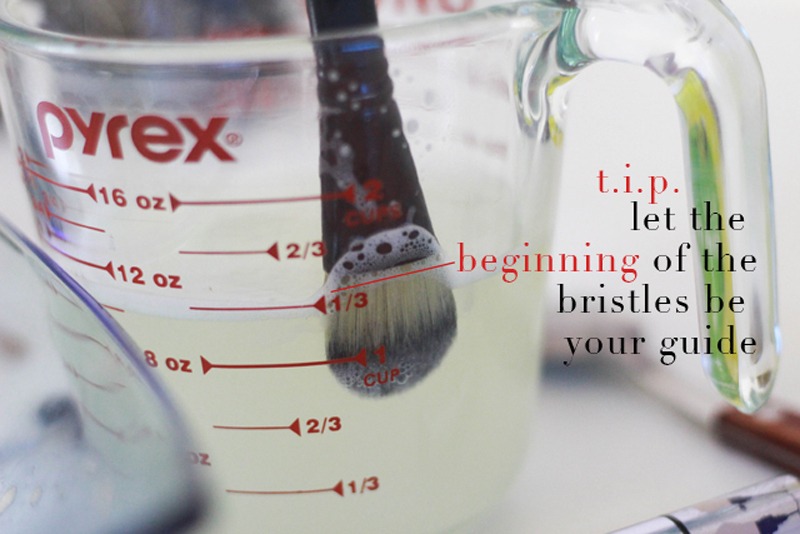 Only use a small amount otherwise your brush heads will have an oily residue after washing. Dish detergent is used as it will clean off all the dirt and gunk from your brushes. You are welcome to use an anti-bacterial detergent and can then omit the following ingredient: Vinegar. Vinegar is the natural, anti-bacterial agent in this brush cleanse to kill any nasties at home in your brushes. Don’t worry, your brushes won’t smell like feet! The smell of the vinegar doesn’t linger. *Tip: For any artists out there, you can also use olive oil and detergent method to clean your paint brushes! Its how I cleanse my brushes after every painting session! Simply combine all ingredients in a bowl of your choice. Proceed to dipping your dirty brush head into the mixture and swirl on side of bowl or on the palm of your hand. Rinse brush head in clean water until all soapy residue is gone. Form brush bristles and lay flat to air dry. 1. Don’t soak the brush completely in water as this degrades the glue and consequently the shelf-life of your brush will be shortened – something you want to avoid especially if you have invested on high quality brushes. This has already happened to me as you can see above, as a consequence of my ignorance on soaking a few years back. When rinsing your brush – only submerge until the beginning of the bristles to avoid the water coming into contact with the glue holding the bristles in place. 2. 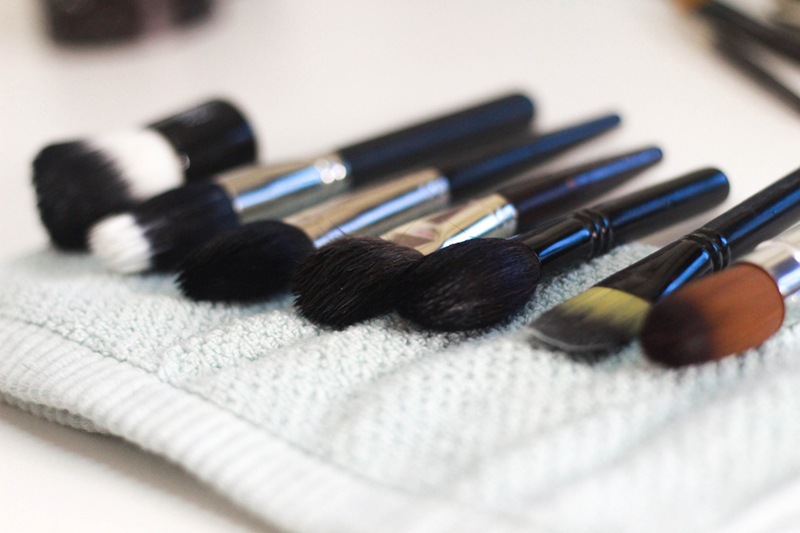 When air drying your brushes, never place them upright as the water will travel downwards and again, ruin the glue in your brush. 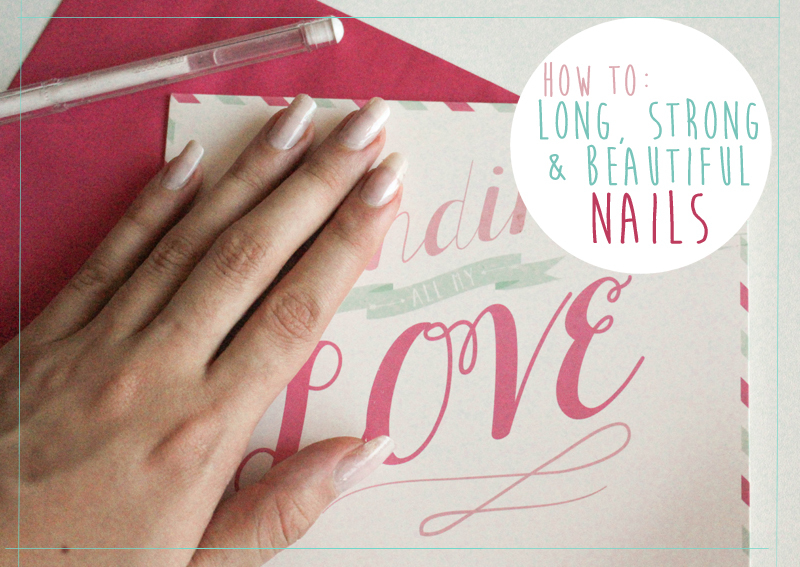 Lay them flat on a thin towel in a well-ventalated area to air-dry over night. 3. 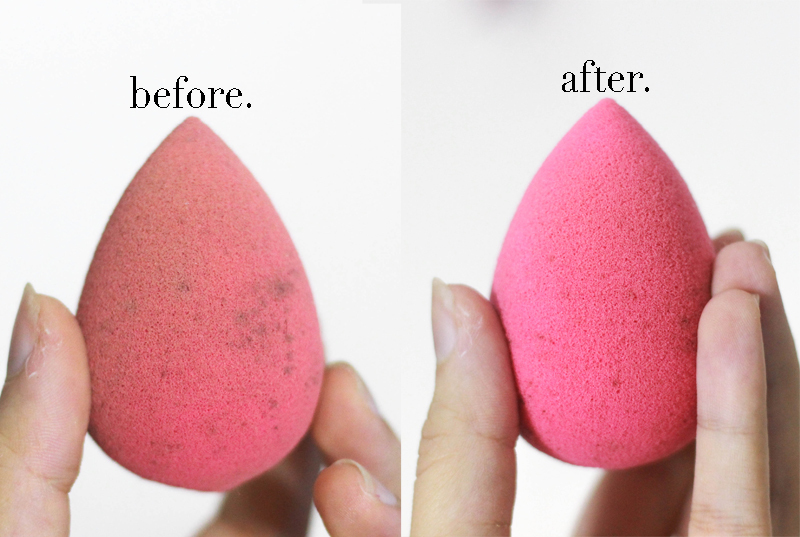 When cleansing sponges such as a beauty blender, simply soak the sponge with some detergent/vinegar/oil mixture and an extra splash of water. Then squeeze and rub gently between your fingertips to create a lather. Rinse completely until water runs clear with no bubbles (this takes a while so be patient!) then leave to air dry. 4. 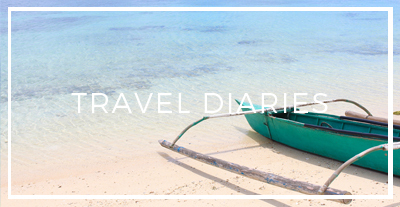 Your sponges have an expiry date. So know when to let them go. 5. For metal tools such as eyelash curlers – simply use the spot-clean method to wipe down the entire tool. Then, if desired, use a toothpick wrapped with some cotton from a cotton ball soaked with some disinfectant alcohol to clean the inside of the plastic part of all stray eyelashes and mascara that may be lodged in there. 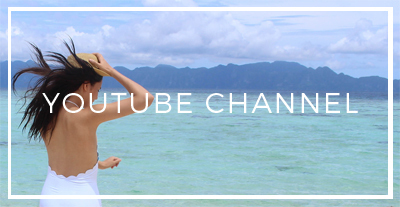 I hope you found this helpful! I know cleaning your brushes is a bit of a chore but trust me, the extra effort is worth beautiful, non-irritated skin. Goodluck!